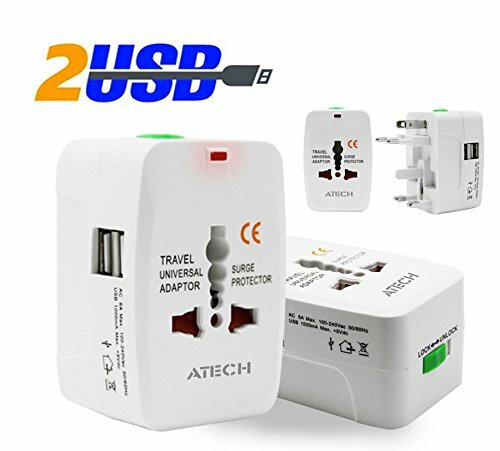 * This universal adapter is a compact one piece unit with 4 international adapters with Dual 2.1A USB Charger Ports. * Built-in safety shutters protect users from the direct touch of the live parts on the socket outlet, especially for the children, power indicator light and surge protection. * Dual USB Ports 2.1A for iPhone, iPad, Samsung Tab, Smartphones, iPod, 5V tablets, Bluetooth speakers, etc.